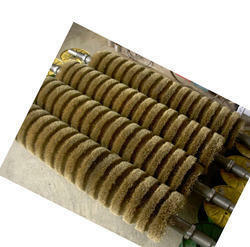 We are manufacturing all type of brass wire brush and also as per customer requirement. Wooden Handle Length : 9-1/2"
brass & steel thubi use for prevent scratching from hard metal. Fits in shaft. There is straight wire & also crimped wire thubi brush. 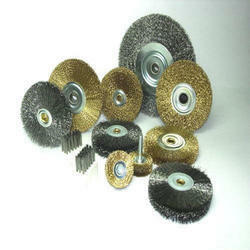 Brush Tire Brass Densely packed brass bristles staple-set into a foam block. Bristles are crimped for added strength. Great for cleaning white sidewall tires and for stripping paint for home furniture refinishing. This is an ideal brush for tough and aggressive cleaning made of 3/4 “ brass wires. You can best clean white walls when using this heavy-duty brass brush.